The President of the Islamic Republic of Afghanistan, Ashraf Ghani, awarded the Italian NGO EMERGENCY the ‘Allama Sayed Jamaluddin’ prize for their commitment to the victims of war in Afghanistan. “EMERGENCY’s hospitals and health centres have helped the Afghan population in the most difficult of times. 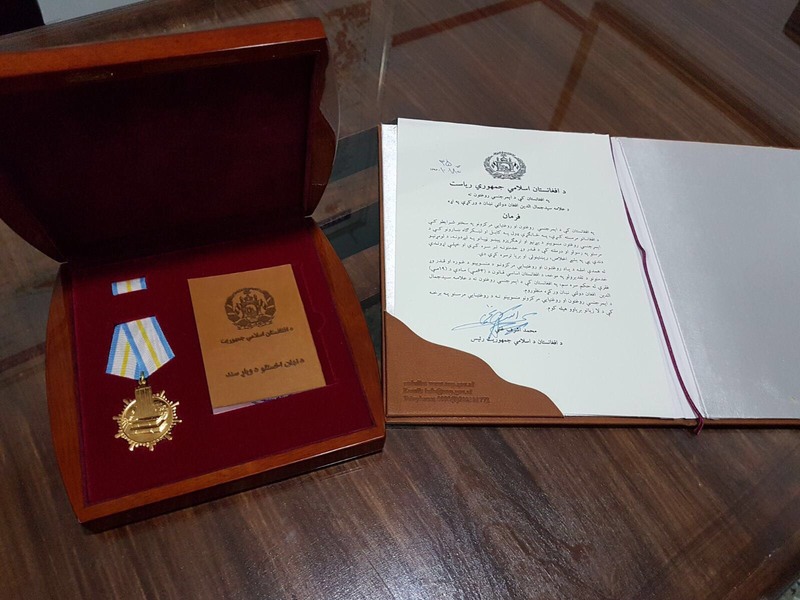 Particularly in Kabul and Lashkar-Gah, EMERGENCY staff are appreciated for the care they offer, with honesty and great efficiency”, wrote President Ghani in the reasons for the award. “We dedicate this award to Samiullah, nurse, and Hamza, EMERGENCY driver, killed by war, and to all the civilian victims of conflict,” stated Rossella Miccio, President of EMERGENCY. “We have been in Afghanistan since 1999: after 17 years of war, the population lives in a state of total insecurity and sees no prospect of peace in the near future”. The ceremony, held at the Presidential Palace, was also attended by the Minister for Health, Ferozuddin Feroz and Italy’s Ambassador to Afghanistan, Roberto Cantone, who stressed the importance of such recognition as a tangible sign of the work that EMERGENCY continues to do across the Country. Since 1999, EMERGENCY has treated over 5.5 million people in Afghanistan in its 3 hospitals, in the Maternity Centre in Panjshir and in the 43 First Aid Posts and Health Centres around the Country. The situation in Kabul continues to worsen with every month. The last attack took place last week, when a suicide bombing caused dozens of casualties, 21 of whom were taken to the EMERGENCY hospital in the city. In 2017 alone, the EMERGENCY hospital in Kabul admitted 3,460 war wounded patients, the highest number on record. The situation has also steadily worsened elsewhere in the Country, as confirmed by the latest report on war victims by UNAMA, the United Nations Mission for Afghanistan. Compared to 2016, UNAMA has documented a 13% increase in the number of women injured or killed, along with a 6% increase amongst children. The number of victims of aerial bombardments has increased by 52%, with more than two thirds of victims being women and children.